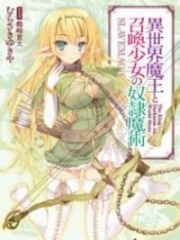 You’re reading novel Chaotic Sword God Chapter 1731 online at LightNovelFree.com. Please use the follow button to get notification about the latest chapter next time when you visit LightNovelFree.com. Use F11 button to read novel in full-screen(PC only). Drop by anytime you want to read free – fast – latest novel. It’s great if you could leave a comment, share your opinion about the new chapters, new novel with others on the internet. We’ll do our best to bring you the finest, latest novel everyday. Enjoy! Soon after the young man with a fan and the burly man referred to as uncle Qin left, a powerful presence rapidly appeared. In the sky, over a dozen men in black clothes had appeared. They were emotionless and cold. The weakest of them were at Reciprocity, while the leader had already reached Deity from the presence and pressure he gave off. "Who killed the young master of our Mo family? Chase him down…" the Deity said coldly. After learning about the direction which the young man had left in, he pursued with lightning speed. At the same time, a powerful presence surged into the sky from the estate of the Mo family. It surged out like an arrow, and the pressure it possessed actually came from a G.o.d. With the appearance of the G.o.d, a tremendous voice boomed through the sky, "Who has come to our Mo family and looks down on us?" There was rage within the voice, and the person shot off towards the young man like a sword. "Heavens, a G.o.d of the Mo family has appeared…"
"It's enough to draw out a G.o.d of the Mo family. The senior who killed the young master of the Mo family earlier was probably a G.o.d…"
"G.o.ds are great existences. It's extremely difficult to see one normally. I never thought I was actually standing beside a G.o.d…"
Heated discussions appeared in the bustling street. Many people felt sorry for the young man with a fan. The Mo family basically controlled the entire provincial city. Even if the young man were a G.o.d, he would not be able to escape from the Mo family. What very few people noticed was that the G.o.d from the Mo family actually did not return. Moreover, the G.o.d never appeared in the Mo family ever again. More and more G.o.dhood experts gathered at the entrance of G.o.dking Duanmu's dwelling. Not only were over eighty percent of all the G.o.ds from the Divine Kingdom of Pingtian present, but the number of OverG.o.ds constantly increased. Aside from the five ancestors of the five provincial cities, even the OverG.o.ds from the royal city had come. By now, there were more than ten OverG.o.ds gathered. All the OverG.o.ds had gathered at the entrance. They tried any idea they could think of to open up the dwelling, but no matter what they tried, nothing worked. Even the OverG.o.d Feng Bule who had studied formations a little in the past was pushed to his wit's end. "Looks like the ancestor of the Mo family from the Divine Kingdom of Qingyang has come. Even people of the Divine Kingdom of Qingyang have come…"
"He seems like the ancestor of the Divine Sect of Sun Transformation from the Divine Kingdom of Qingyang…"
"The ancestor of the Windless School from the Divine Kingdom of Qingyang has come as well…"
"OverG.o.ds from the Divine Kingdom of Nine Stars have come as well…"
"Look, he's from the Divine Kingdom of Kaiyuan…"
As time went on, the number of OverG.o.ds present only increased. Every single one of them was senior members of a divine kingdom, great figures who dominated entire regions. Their whereabouts would normally always be unknown, but they had all gathered in the Divine Kingdom of Pingtian today after receiving news of G.o.dking Duanmu's dwelling. The Divine Kingdom of Pingtian, the Divine Kingdom of Qingyang, the Divine Kingdom of Nine Stars, and the Divine Kingdom of Kaiyuan all possessed roughly the same strength. Basically, every single divine kingdom possessed over a dozen OverG.o.ds. Even though not all of them had gathered here, there were already over thirty OverG.o.ds. There were even more G.o.ds! "This is within our Divine Kingdom of Pingtian. G.o.dking Duanmu's dwelling belongs to our Divine Kingdom of Pingtian, so please leave if you are not part of the divine kingdom…"
The OverG.o.ds of the Divine Kingdom of Pingtian were obviously displeased with the arrival of so many foreign OverG.o.ds. One of them immediately spoke out righteously. "Hehe, that's true. It is in your Divine Kingdom of Pingtian, but who said that people from other divine kingdoms can't come here? Moreover, G.o.dking Duanmu's dwelling doesn't belong to your divine kingdom. According to my knowledge, your divine kingdom hadn't even been founded when G.o.dking Duanmu was at the peak of his fame…" A black-robed old man sneered. He possessed an icy-cold presence. He was the OverG.o.d from the Mo family of the Divine Kingdom of Qingyang. "That's right. G.o.dking Duanmu's dwelling doesn't belong to your Divine Kingdom of Pingtian. The G.o.dking himself did not belong to the kingdom, so you're all dreaming if your Divine Kingdom of Pingtian plans to take it for themselves," added another OverG.o.d. He came from the Divine Kingdom of Nine Stars. "People of the Divine Kingdom of Pingtian, consider it. If you want to take G.o.dking Duanmu's dwelling for yourselves, we'll all become your enemies. Can you really afford to pick a fight like this?" A beauty in a white dress said. She came from the Divine Kingdom of Kaiyuan. 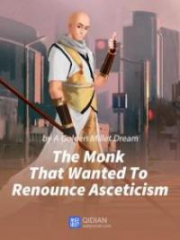 The OverG.o.d from the Divine Kingdom of Pingtian was met with the forceful rebuke from OverG.o.ds of the three other divine kingdoms as soon as he spoke out, immediately causing his face to become rather ugly. He did not wish for the OverG.o.ds of other divine kingdoms to enter the dwelling because the compet.i.tion would become more intense with more people. Their chances of obtaining anything good would naturally decrease. However, they just happened to be unable to do anything. The Divine Kingdom of Pingtian was unable to hold back three other divine kingdoms that possessed similar power. "Cut the bullsh*t. It doesn't matter how many OverG.o.ds gather here if we can't even get through the main entrance. Let's think about a way in instead," said Feng Bule. "Looks like the entrance to the dwelling is hidden in s.p.a.ce. Everyone, why don't we work together and force out the formation hidden in s.p.a.ce first," said the ancestor of the Mo family. Everyone immediately agreed to the suggestion. They all began to move, using their own techniques in an attempt to force out the entrance hidden in s.p.a.ce. Immediately, violent booms rang out constantly. Terrifying ripples of energy permeated the surrounding s.p.a.ce. It really did seem like the end of the world. The entire mountain range was flattened in a single instance. The shockwaves of energy when the OverG.o.ds struck out was not something that the G.o.ds could endure, especially when so many OverG.o.ds struck out together. It forced back all the G.o.ds in the surroundings. "G.o.d dammit. It's all because of the d.a.m.ned Mo clan and Ando clan," the G.o.ds of the Wayner clan watched on in the distance enviously. Their jealousy had reached the point where they wanted to roar out. G.o.dking Duanmu's dwelling was so well-hidden and so hard to enter where even so many OverG.o.ds were obstructed from entry. If they were inside in the dwelling, they would be able to enjoy the items left behind by the G.o.dking comfortably. Whenever they thought about that, the G.o.ds of the Wayner clan would be filled with jealousy and hatred to the point where they heaved heavily, and their eyes became bloodshot. You're reading novel Chaotic Sword God Chapter 1731 online at LightNovelFree.com. You can use the follow function to bookmark your favorite novel ( Only for registered users ). If you find any errors ( broken links, can't load photos, etc.. ), Please let us know so we can fix it as soon as possible. And when you start a conversation or debate about a certain topic with other people, please do not offend them just because you don't like their opinions. You're reading Chaotic Sword God Chapter 1731. This novel has been translated by Updating. 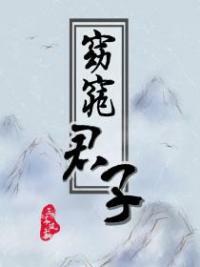 Author: Xin Xing Xiao Yao already has 1454 views. Current Time is Apr-23-2019 01:01:45 AM.